An American in Ireland: What was the last record you bought? I've often found myself talking to people and the question of "What was the first record you bought?" arises. I've always been able to answer that question (Elton John's Greatest Hits). That was around 1976 or 1977. I can't remember now. That was my first record. Yesterday I found myself wondering what was the last record I bought and I wasn't sure. A new radio station will soon be launched here and for the first time Dublin will have a "classic rock" station. To prepare for the launch the station is testing its signal by playing nothing but music hour after hour, day after day. No ads, no news, no weather, no DJ. Nothing but music. 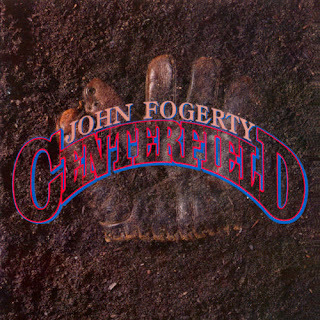 Yesterday evening I was listening when I heard Vanz Can't Danz off John Fogarty's Centerfield, a record I have a clear memory of buying. That was 1985. The album came out in 1984, but my copy had the altered title to the song "Zanz Can't Danz" that Fogarty was forced to release after he was threatened with a defamation lawsuit by the owner of Fantasy Records, Saul Zantz (might have name wrong). So, I'm sure it was 1985, probably that summer. Was that the last record I bought? I don't know, but I think it might have been. I have no memory of buying any records after 1985. I know I was determined to resist CD's - I was fighting 'the man' - and bought cassettes for a couple of years before I capitulated and bought a CD player and a couple of CD's. As far as I know none of my children has ever heard a sound I was all-too-familiar with, that of a scratched record. I think they may have once or twice heard tapes I made from scratched records, but even that's not quite the same. In fact, unless you own the record, the scratch sound doesn't have the same impact. Whenever I hear a song off a record I owned I still expect to hear the pops or skips that I experienced thanks to my own mishaps with my records. Today's download generation can't imagine such a thing, but for the CD generation a scratch was pretty much a death knell for the CD and you had to replace it. If you were born after 1970 there's a good chance you never bought a record and possibly never even heard one. That probably means I'm only talking to those born in the 60s and earlier, but do you remember your last record?